With a roar the engines sparked into life. We slowly pulled away from the deserted pier and took aim toward the open ocean. I had barely slept all night in anticipation, but now it all seems so real. A predictable knot begins to form in the pit of my stomach. Rolling clouds fall behind, refusing to be parted from the land, allowing the morning sun to stream down – Already you can tell it’s going to be a scorcher of a day, even by Brunei’s high standards! Like an arrow towards its target we speed out, past row upon row of grey warships in the harbor. Our aim is firmly set between two of the many offshore oil platforms that punctuate the horizon like a modern day Atlantis, our destination inches closer. My mind wanders in the calming sea breeze and I recall the ASEAN Defense Ministers’ Meeting Plus multilateral exercises are taking place today, explaining the hodge-podge of Navy vessels all around. I wonder if they will have time for Wreck Diving Brunei? The article I had glanced over the night before said 10 ASEAN states along with Australia, China, India, Japan, New Zealand, Russia, South Korea, and the United States are taking place including 3,000 personnel and 18 ships. Looming large on the horizon, just one of many seemingly escorting us. This small sultanate and its crowded bay are littered with some of the best wreck diving on our little blue marble. 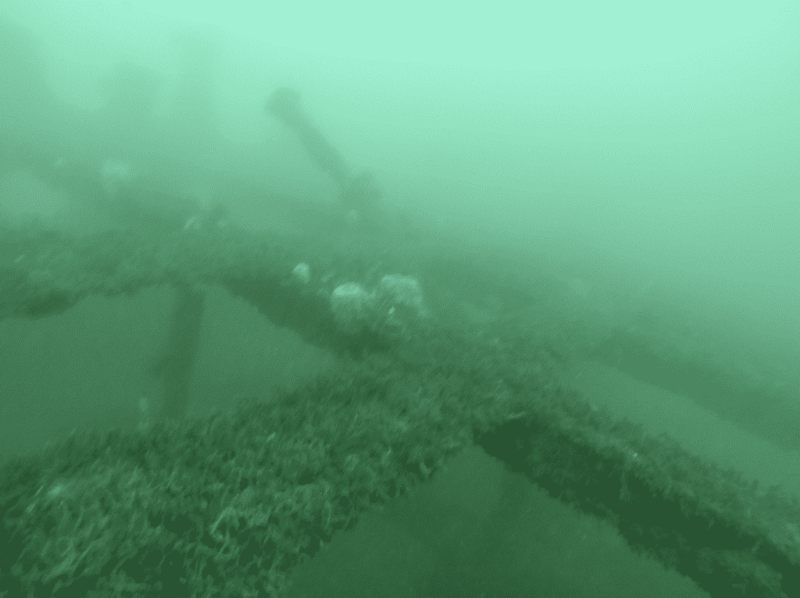 A rich maritime history since its British colonial days has gifted these waters with many rusting carcasses, three of the most famous of which we intend to investigate today. The engines shudder and I am awoken from my day-dream. 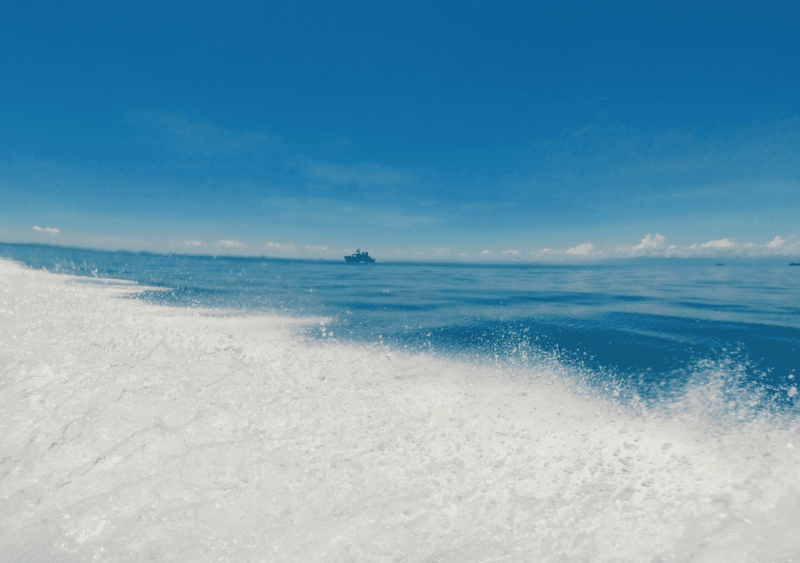 The knot in my stomach strengthens as the boat slows to a stop and the emerald green sea becomes silent except for the slapping of waves on the hull. I take a deep breath and gear up. The general chatter of my dive companions builds and turns almost feverish in anticipation. My last dive was only a week ago, but as always I am nervous… It’s only natural after all, descending into the unnatural depths of the ocean, I tell myself. But I am also enlivened. I take a giant stride and slip into the warm embrace of the unknown. “Nothing like diving the tropics” I think. All in the water and we start our descent. Water which appears murky and unwelcoming from above suddenly changes into a soft blue. A school of shimmering fish congregate around us and flash back and forward, light dancing off their silver scales. As we go deeper, my nervousness melts away and is replaced by excitement. We are here to explore the Australian wreck, a bit of a misdirection considering it was originally a 85m Dutch Cargo Steamer. It was scuttled in 1942 to prevent the invading Japanese using it, but the Japanese managed to re-float it and use a transport ship. In 1944 it struck a Japanese mine at its current location and sunk, sadly taking the lives of 339 prisoners being used as slave labor with it. At 25m we hit a sharp thermocline and a sharp chill sweeps over me, the water becomes clouded with silt and I can just make out a shape in the distance. Gradually my eyes adjust and a portion of the behemoth comes into view. 70 years of salt water has done its damage, it’s teak decking has rotten away and what is left is an eerily metal skeleton. View down to the infamous cargo bay. 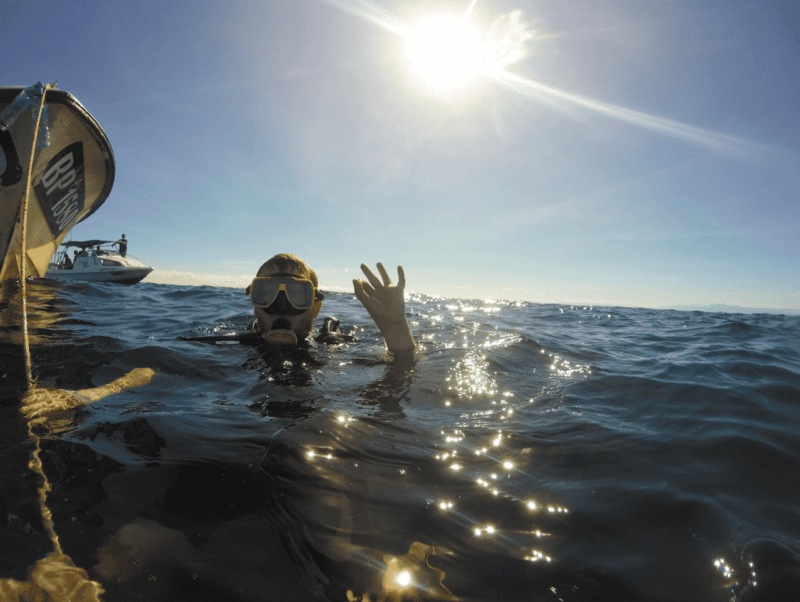 Better to be respectful and avoid it altogether when diving in Brunei …. Fish and corals abound, it’s incredible how much life can be supported by this structure. Just one reason why you should go diving in Brunei! We can see down into the cargo hold but daren’t go any further – The prisoners remains are still down there, covered in silt where they perished shackled. A school of snapper is all I can make out peering back at me, their eyes following my every move. The portholes have long since rotted into oblivion, but plenty of life now dots the walls. Nudibranchs litter this wreck, some of the biggest I’ve ever seen and their vibrant coloration and general outlandish nature help to ward off the general sense of doom this place exudes. I follow my instructor who is somehow able to navigate her way in the conditions. Our bottom time is limited at 30m and after 20 minutes we have to head back up. I rise above the murky wreck and take my last glimpses at this peace of history, a war grave which now supports an entire eco-system. 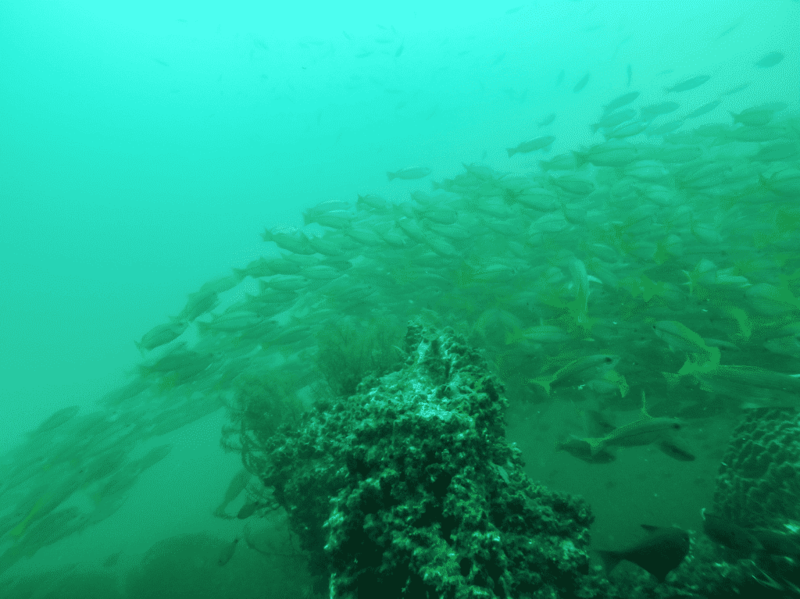 Literally teeming with life…Not what I expected when Wreck Diving Brunei! Thermocline is visible…Thank god I’m out of that. 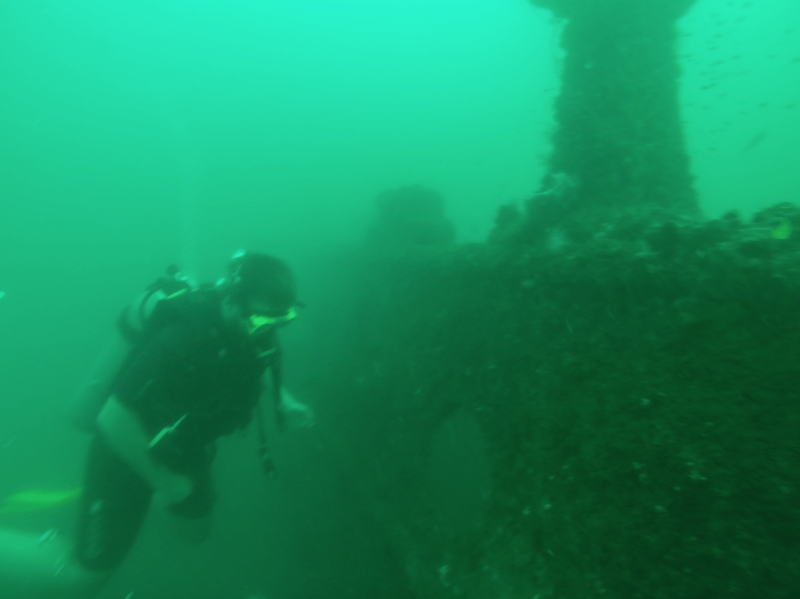 Wreck Diving Brunei is not for the faint of heart! I dived Brunei thanks to the help of Oceanic Quest -An extremely professional dive outfit who were easy to deal with and keep small dive group numbers! They make Wreck Diving Brunei easy! 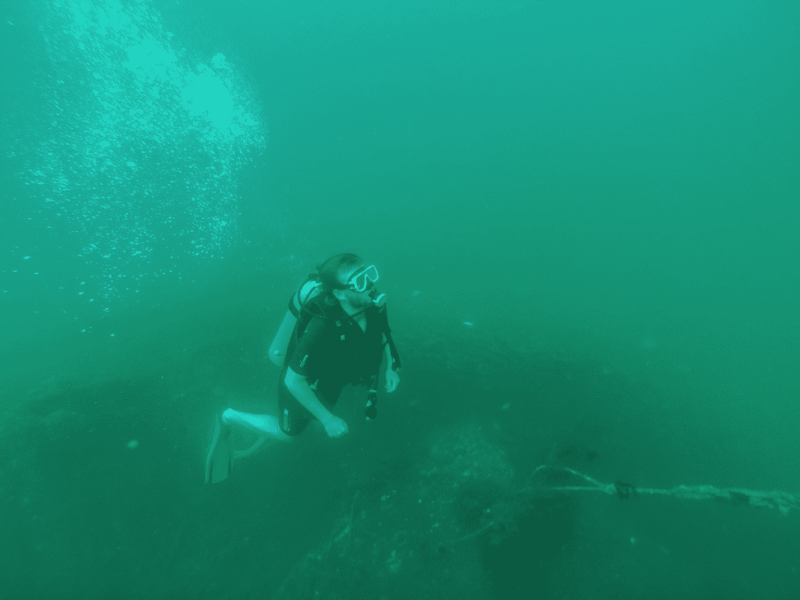 P.S: Looking for more beyond Wreck Diving Brunei? 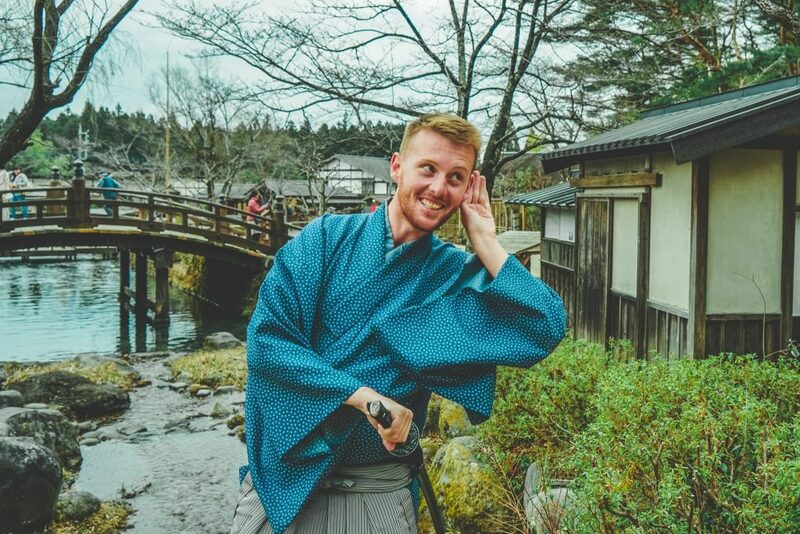 Check out my Sabah / Borneo travel hints and tips for Sipidan / Mabul, Kota Kinabalu Beaches and a Kinabatangan Jungle Stay!